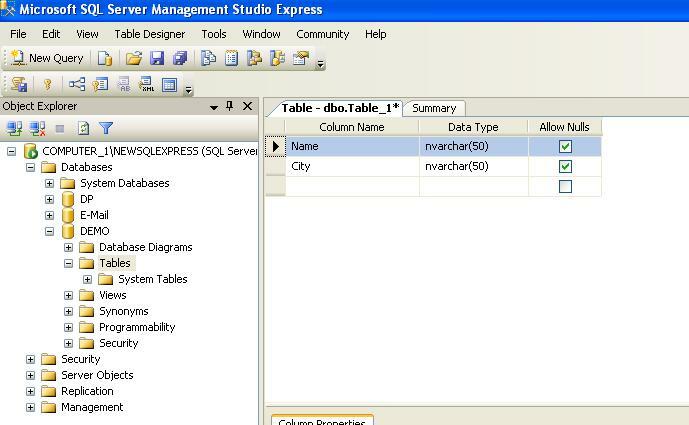 Here, some step to create new sql-server Database in SQL-Management Studio. 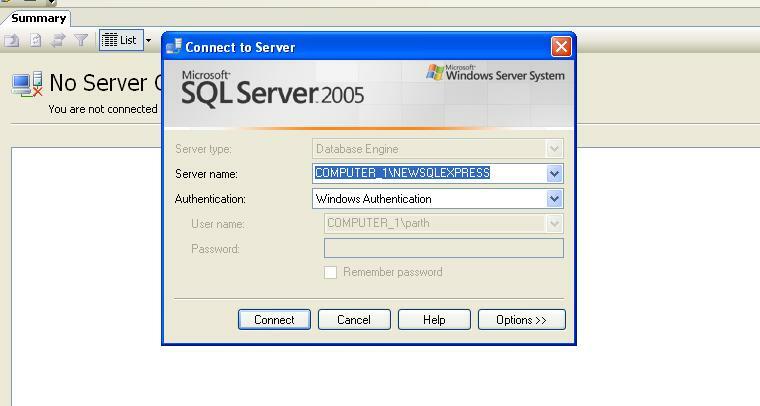 STEP 1 – Open SQL-Server Management Studion and Create a New Database..
Write your New Database Name which you want to create in SQL-Server….and Click OK Button to Create New DataBase. 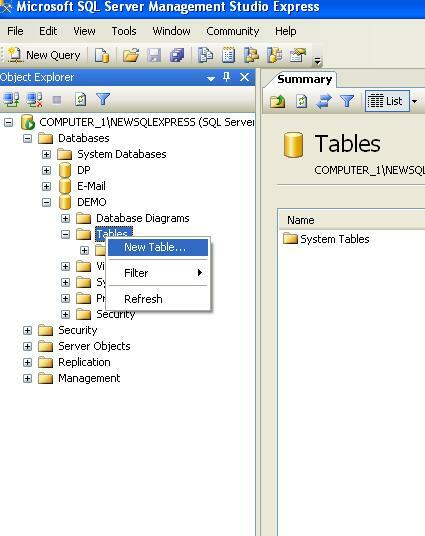 Now Create New Table in Database.. Create Column in your Table and Save Table with UserMst name. 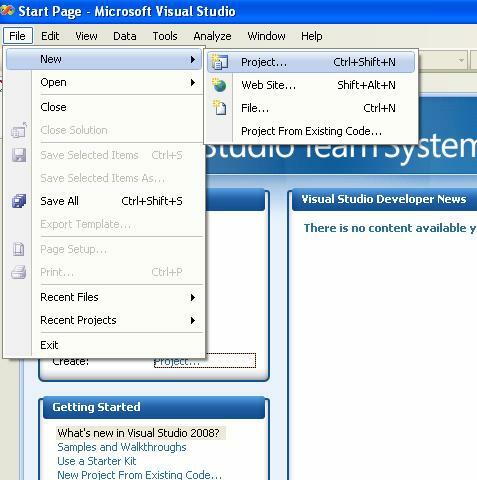 After Creating Database and Table in SQL-Server, open the Visual Studio and Create New Windows Application in ASP.Net. 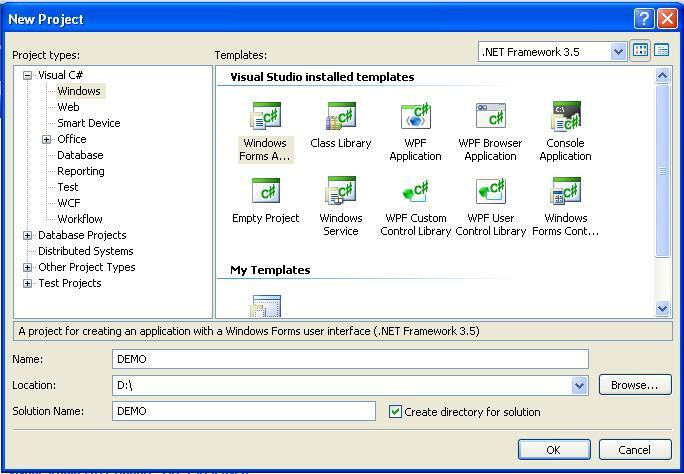 Here, Select the Windows Form Application and write your Project Name, We create project named DEMO Here. 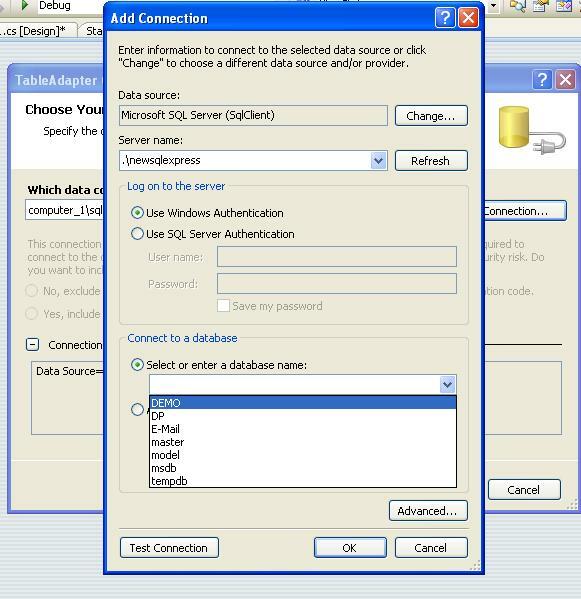 After Creating project you have a one Windows Form…..
Now, Here we create connection using Wizard so, Create New Folder at Solution Explorer and Create New DataSet in that DS Folder. 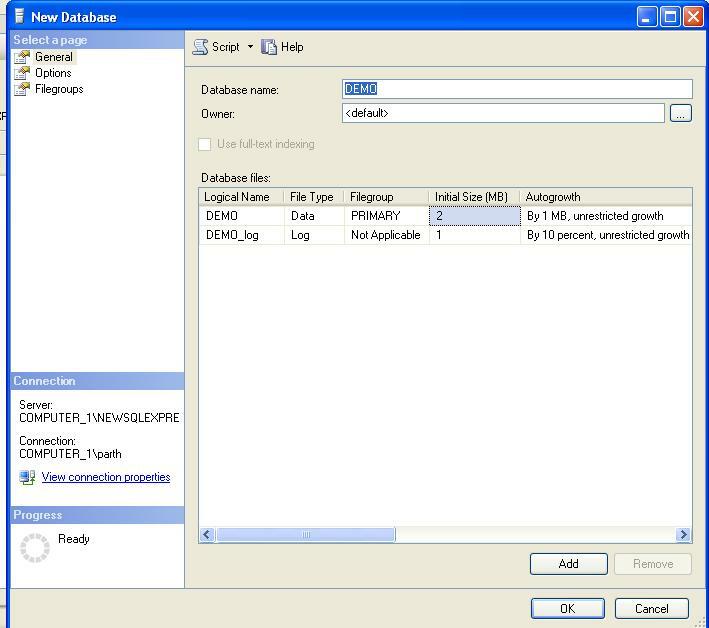 Open the DataSet1 and create New TableAdapter by Right clicking on DataSet1. 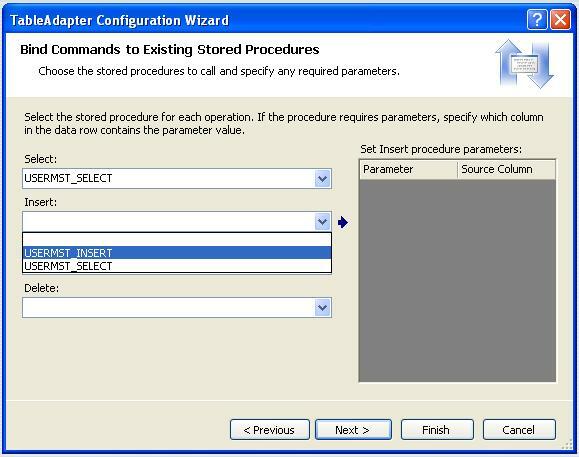 Then Click Next button and Select Use Existing Stored Procedure option on below screen. 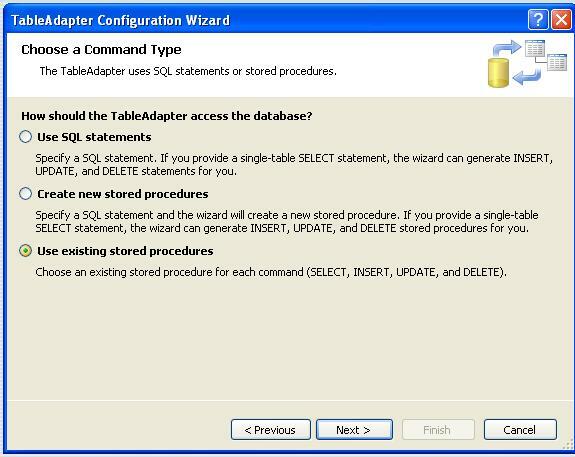 Select the Stored Procedure for Select and Insert which are already you created in sql server. 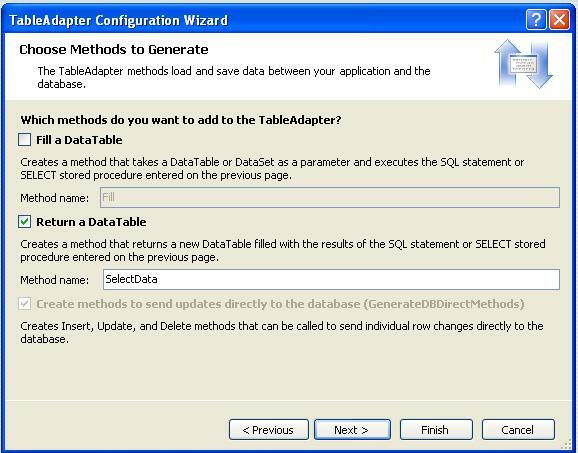 Now, Remove the Fill a DataTable option and Next…. 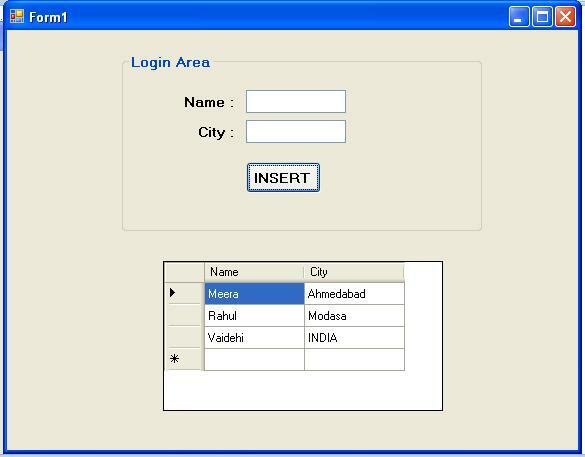 Here, we have two TextBox Control Named txtname,txtcity and one Insert Button and one GridView Control. 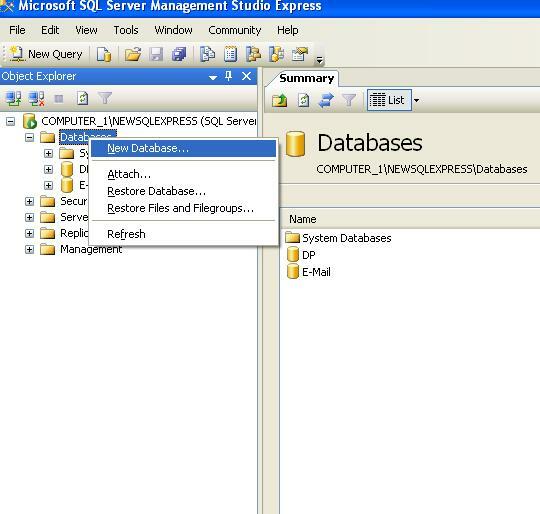 I hope you will enjoy this asp.net tutorials of sql server database connection in asp.net, database connection in vb.net with sql server.